Obituary for Patsy L. (Hall) Faure | McIlvaine-Speakman Funeral Home LTD. 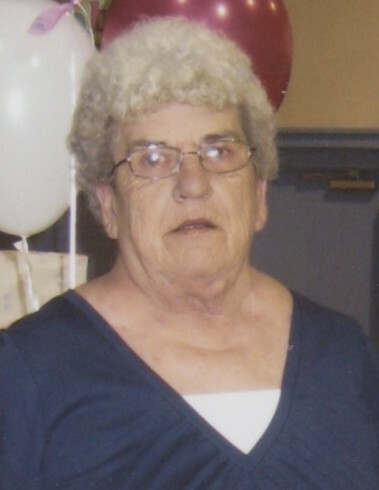 Patsy L. Faure, 78, of McDonald, died Friday, April 6, 2018 in the Washington Hospital. She was born January 9, 1940 in Canonsburg, a daughter of Gilbert “Jack” and Jeanette Hampson Hall. She had worked for Thepitt in Carnegie and Service Master in Canonsburg. On May 4, 1956, she married Raymond Faure, Sr. who passed away November 19, 2003. Surviving are two sons, Raymond Faure Jr. (Melissa) of McDonald and James Faure of Marianna; two daughters, JoAnn Lemley (Raymond) of McDonald and Jodie Cowden (Paul) of Avella; 10 grandchildren, five great grandchildren; and several nieces and nephews. Deceased are a son, Jason Faure; four sisters, Doris Folkens, Geraldine Coole, Emma Smith and Elsie Smith; and two brothers who died in infancy, Jack and Arthur William Hall. Friends will be received from 2 to 4 and 7 to 9 Tuesday in the McIlvaine-Speakman Funeral Home Ltd., Robert K. McIlvaine, Owner/Supervisor, 27 Cherry Ave., Houston, PA 15342, where services will be held at 11:00 a.m., Wednesday, April 11, 2018 with Rev. Donald Austin officiating. Interment will follow in St. Mary’s Cemetery, Cecil. In lieu of flowers, the family suggests memorial contributions to the Jason Faure Memorial Scholarship Fund, c/o Chartiers-Houston High School, 2050 W. Pike St., Houston, PA 15342 or Avella FFA, 1000 Avella Rd., Avella PA 15312.